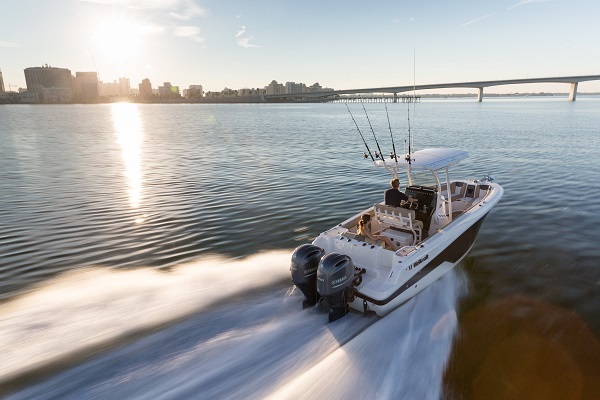 Amazing 2019 Wellcraft 242F loaded with the best options! Powered by twin Mercury 150XL's, this center console is equipped with all the best including Offshore Package with lean post, backrest, rod holders, mat package, rod storage, and offshore graphic. Includes hardtop, t-top, bow seating package with bow cushions, Premium Sound Upgrade with JL amp, subwoofer, and speakers. Also includes Garmin GPS, hydraulic tilt steering, upgraded helm seat with baitwell and cutting board, retractable ladder, windlass with roller anchor, console and helm seat cover upgrade, cockpit sink and transom shower, twin battery charger, dual battery trays, stainless prop, galvanized trailer and more. This is a must see! All trades considered. Actual photos coming soon.